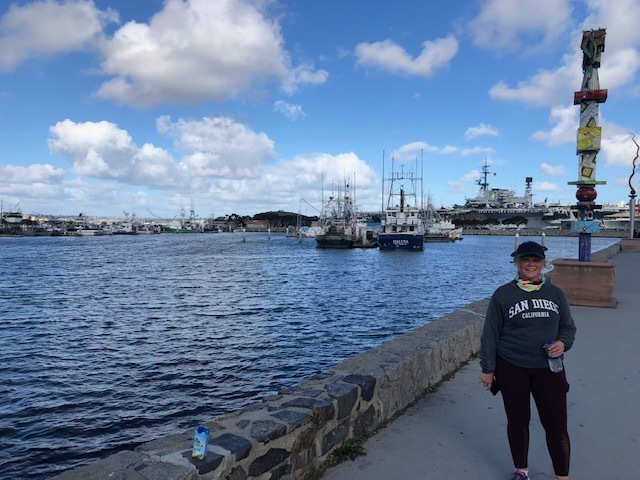 When planning your visit to San Diego and looking for fun and memorable things to do, consider a run through the historic Seaport Village and Little Italy on our Seaport Village Running Tour. 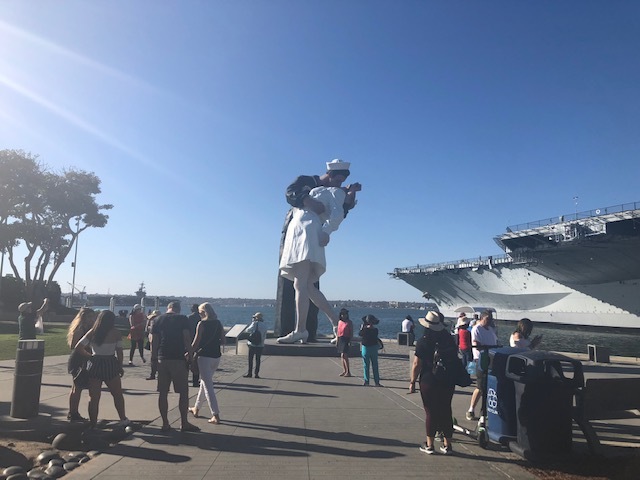 Full of historic landmarks and cultural events, San Diego's Marina, Seaport Village, and Little Italy are perfect spots to explore on the run. 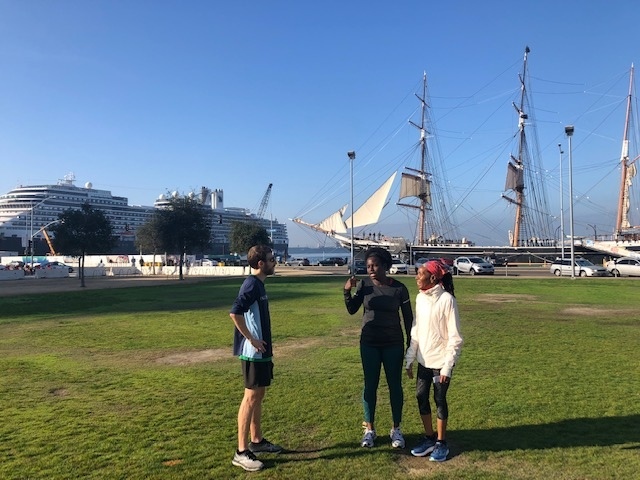 We run a 3.5-mile course at an easy pace along the boardwalk Marina, winding through the Seaport Village, and down to the Waterfront park, passing by the famous Fish Market, USS Midway, historic tall ships, and circle around Little Italy. We stop about 10 times to take photos, and to learn about San Diego's history and culture. 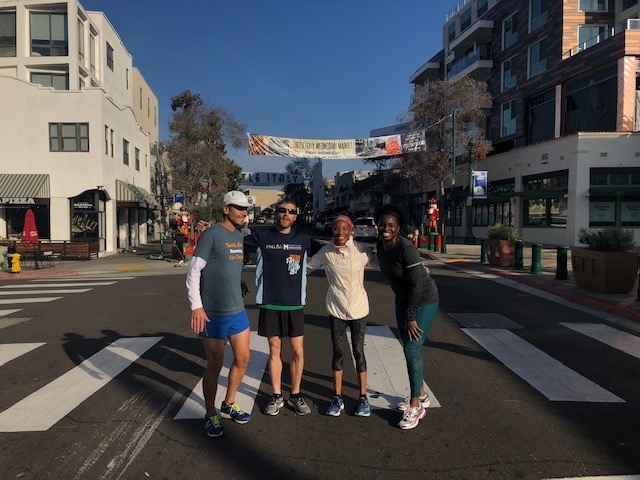 We end the tour at the Ruocco Park with 15 minutes of "Yoga for Runners" and enjoy a complimentary hydration beverage.